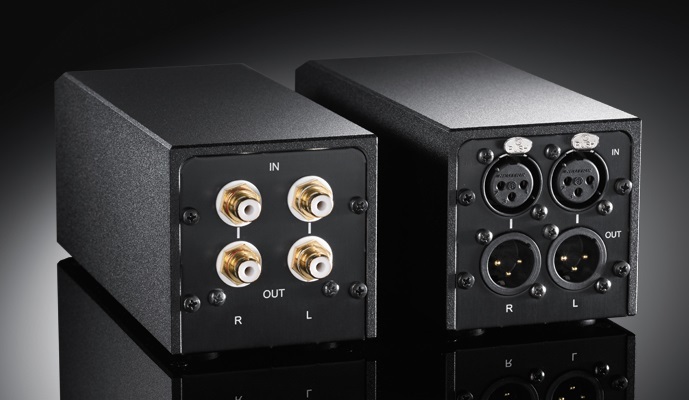 Today’s modern audio systems feature a number of digital and analog signal connections, to which a number of connections to the home’s mains power are made. The modern household also features many systems and devices equipped with switching power supplies (e.g., LED lighting systems, laptop, solar panels) and radio controls (such as WLAN, etc.). 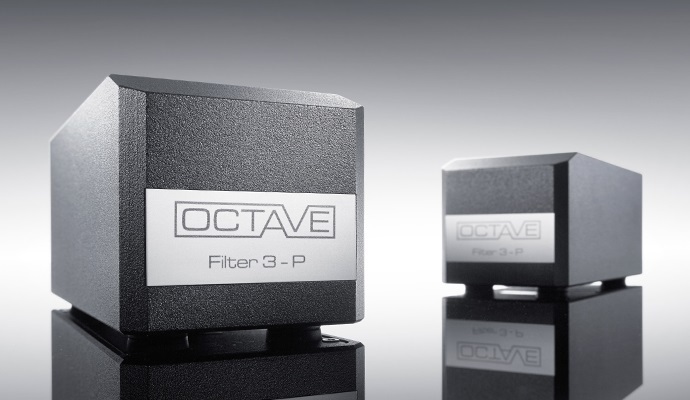 The art of filter 3 was not to influence the signal, but to block interference from the bass region to the highest audio frequencies. 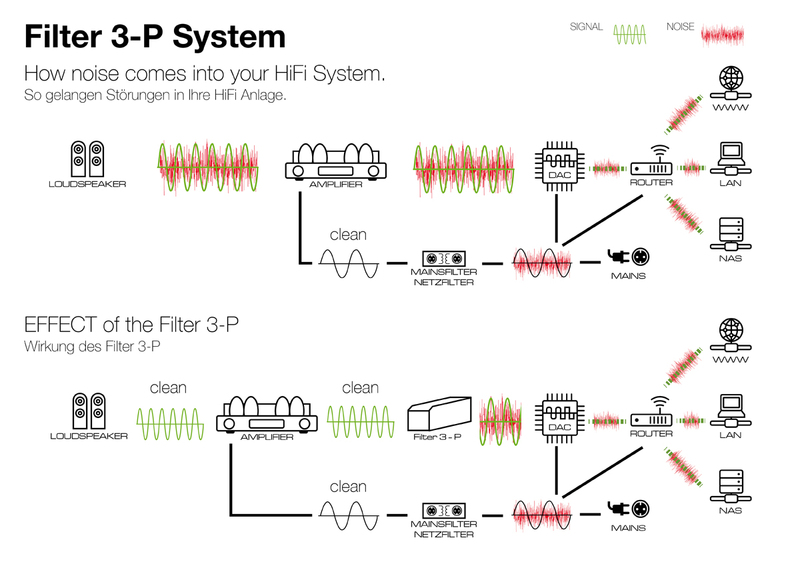 The Frequency range of the Filter 3 spans from 10 Hz to 150 kHz / -1.5db, while the noise attenuation reaches about -80db at 1 kHz. This corresponds to a reduction of common-mode noise by a factor of 10,000. 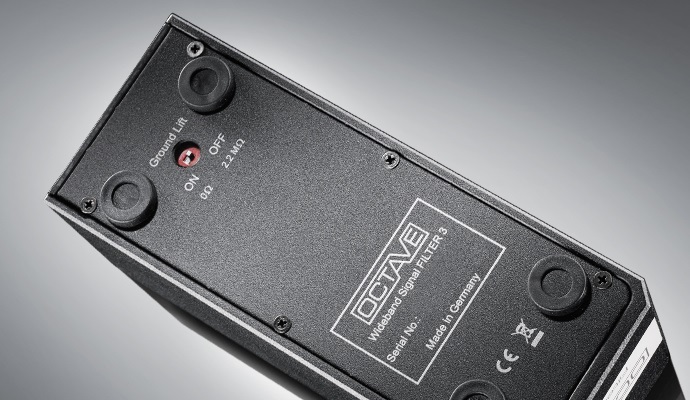 Compared with the attenuation of a line filter in this frequency range of -20 dB (corresponds to factor 10), this is a huge increase in the filter effect. (see diagram 1).